How to Sign Up Time Slots? What should you do when the prayer is very long and you can’t finish within the time frame? You can claim several time slots to finish it. If you don’t have extra time, follow the leading of the Holy Spirit and choose the most urgent things to pray. What is the difference between a personal prayer wall and a team prayer wall? The individual prayer wall consists of units of 15 minutes each and the team prayer for the wall is half an hour. Team Wall Prayer is set up for a team that is willing to pray at the same time (via softwares such as telephone calling, Zoom, WebEx, etc.) or to gather physically together. Pray referring to the prayers on the website. Which kind of prayer wall should I attend ? If you are a person who is willing to watch and pray, personal prayer wall is right for you. If you pray with your prayer group at a fixed time and are willing to participate in the prayer wall and pray in agreement with the prayers, you can join the team wall prayers like morning prayer team, prayer meeting, or house of prayer. Claim the fixed time that your team will pray together under the name of your ministry. If you are the person in charge of the prayer ministry and are willing to invite the intercessor connected to you to participate in the 24/7 prayer wall, you can also register your team name to participate in the prayer wall and claim all the intercessors with you. Please be responsible for sharing and passing on to the next watch. How do teams communicate with each other? We will contact team leaders around the world and set up a communication web platform to build a global network of prophetic intercessions. 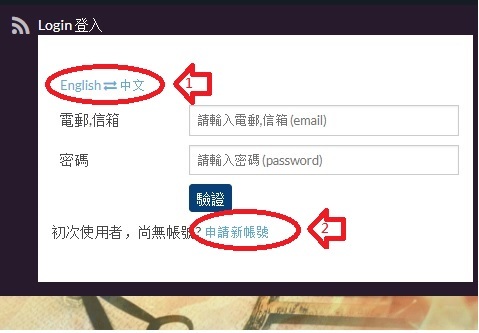 If you already have an account , please enter your email address and password to login. If you log in successfully, your name will appear on the screen as shown in area pointed out by arrow No.1 below. Click on the area marked by arrow No. 2 to log out. SignUp For Individual : Please log in to your personal account, then click on the menuitem, SignUp for Individual as pointed out by arrow No.3 to enter your time(s) following the instructions. SignUp For Team : Please log in to the team account and click on the menuitem, Signup For Team, to sign up for the team prayer sessions. SignIn/SignOut for Individual: Please log in to your personal account, then click on the menuitem, Check-in to check out , pointed out by arrow No. 5 and enter the prayer wall. When you check in, your name will appear on the screen as well as other intercessors who are watching at the same time with you. If other intercessors also signed in, their names will also appear on the screen. When you are finished with your session, please press “Sign out” and your name will be removed from the screen.